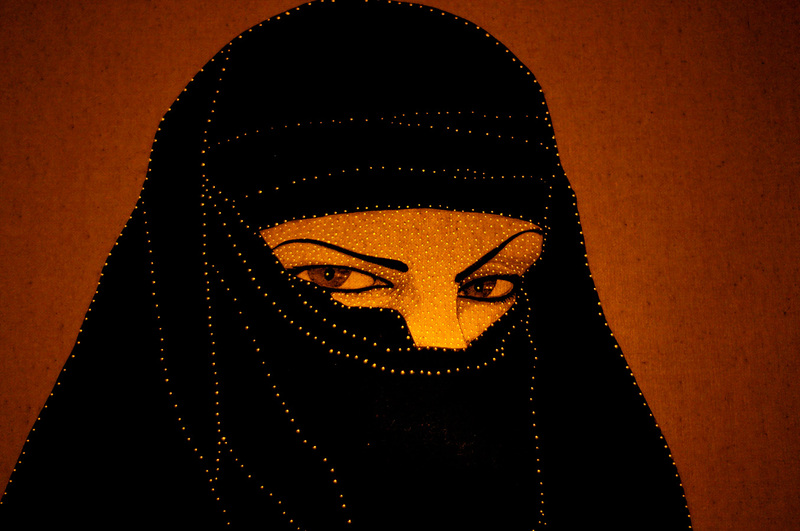 Inside the picture is a Muslim woman, her face veiled in black, revealing only a pair of eyes. There are little holes on her face, and light that shines from behind. When viewers stare at her face, they are also staring at the holes on her face; in other words, it is only through the holes on her face that she can be seen. 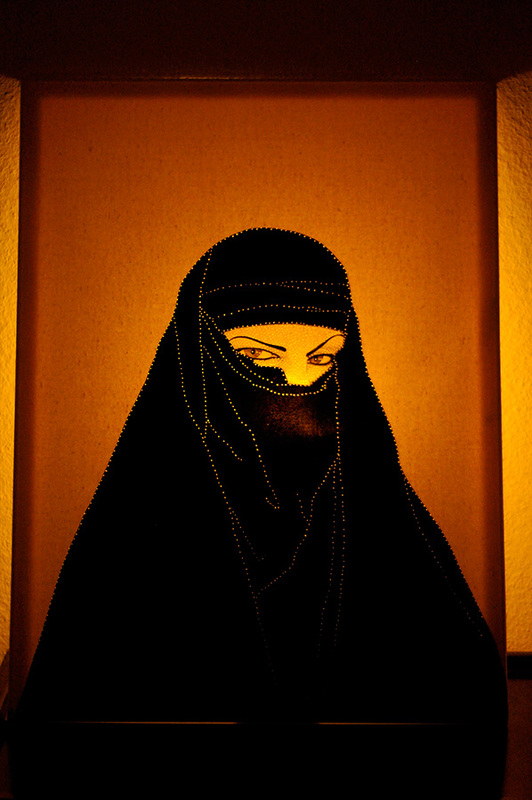 This work examines the female body as it is related to cultural taboos, and positions the female in a global cultural context for reflection: the veiled woman is not just a Muslim woman; she exists in every corner of the world, the veil becoming a metaphor for something else.